On occasion I get an equity or a few from the travelers, who are asking me about how far the World Disney is. The answer is relevant. For some people, such as myself, it is very close. 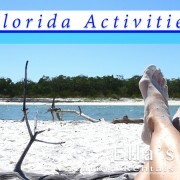 Florida is a small state, that I drive across West East and back quite often. For those who love the road trips and adventure, the drive is perfect. It is taking you through the Alligator Alley. The name of the road is there for a reason. Not only you can visit the Everglades on your way, but maybe spot a nice looking alligator, sunbathing in the tropical lush. For those who do not like to drive, adventure and exploration it is highly advisable to get the accommodation in Orlando. World Disney is number one destination of the entire world. It is every traveler’s dream. No matter your age, everyone should experience the magic of Walt Disney World at least once in their lifetime! There are no words to describe the sheer joy on my children’s and grandchildren’s faces when they actually got to meet their favorite princesses and characters! 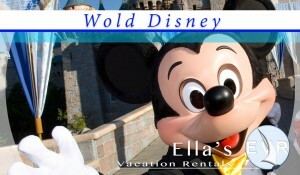 Research Disney special offers a few months before you plan to take your vacation. Special Disney deals often have a “book by” date. Do your homework before you go and prepare a basic itinerary. Find out the early/late magic hours and parade and special show times for each park, and investigate dining options in each park including character dining. Make reservations before you go so you aren’t disappointed because they have no availability, or you can’t be seated until 10pm, which is two hours past your 6 year old’s bed time. A little bit of pre-planning on your part, makes your vacation very enjoyable. Use Disney transportation as much as possible. World Disney always a ‘must visit’ when in Orlando as I can guarantee there is something new that has been added since my last visit. ‘It’s a Small World’ reminds us of the reality of living; Pirates of the Caribbean and Swiss Family Robinson are historical. It is a world of fantasy filled with four completely different theme parks namely – Magic Kingdom, Animal Kingdom, Epcot & Hollywood Studios , which are really full of fun. So, enjoy the exciting rides, attractions & characters and had unbelievable experience of magic & adventure..
Life is full of magic!